On of my favorite indoor things to do in Fall is watch Football with my family. This is something that’s been a tradition in my family for years. 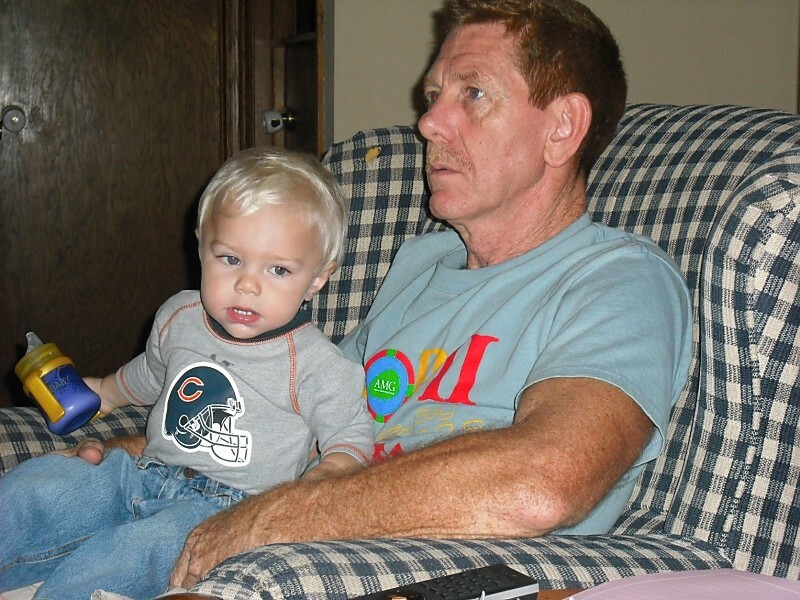 When the boys were younger we’d go over to my dad’s house and they’d “watch” football with Papa. Every game day I put them in an outfit to show their support of our favorite football team. 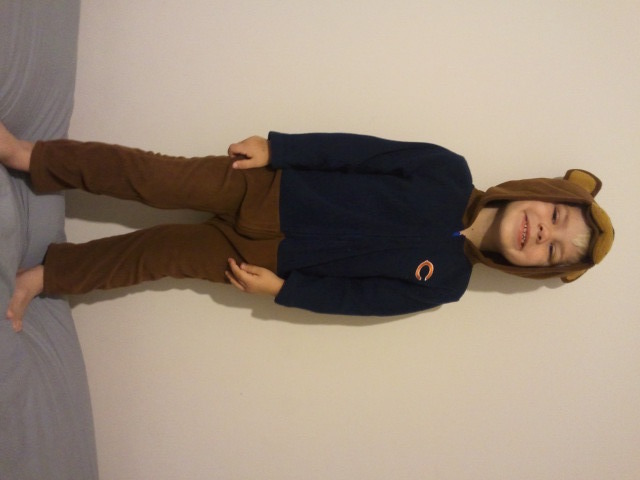 Even when they were infants they wore Bears gear. 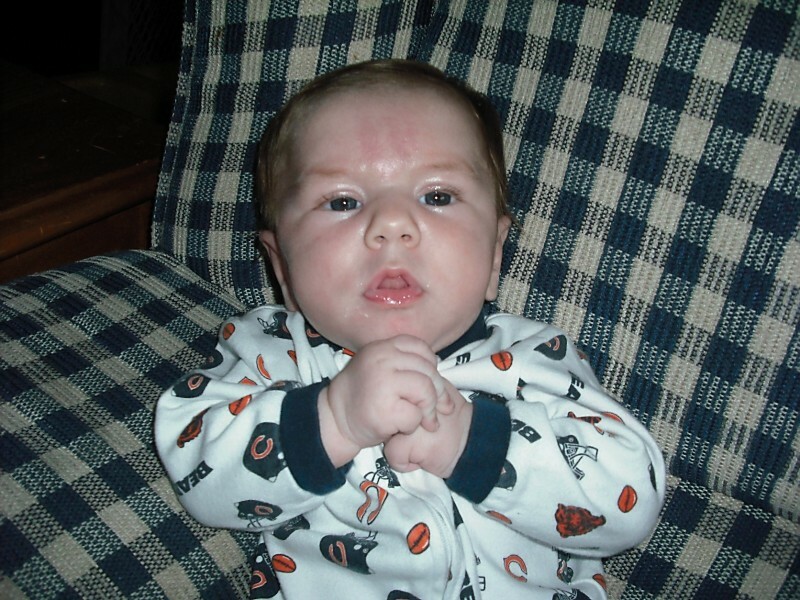 Here’s Lucas just a few months old in his little Bears outfit. 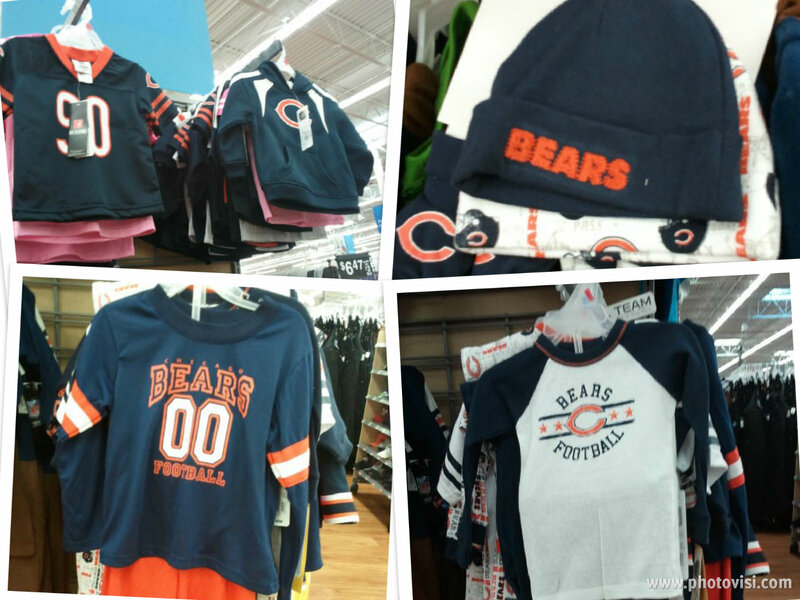 Now that they are in preschool they usually just wear their Bears jerseys or t-shirts but with the weather getting colder, and with their recent growth spurts, I knew we needed to get some gear that was a little warmer for game days we’d be sitting at home. I headed to Walmart to see what they had available. 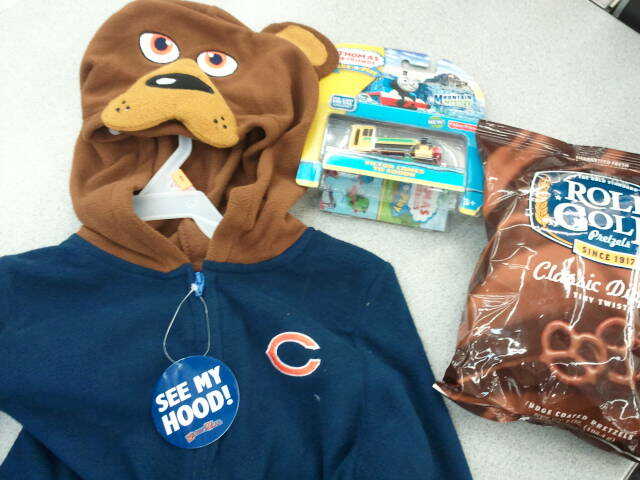 We found a lot of items for both children and adults. 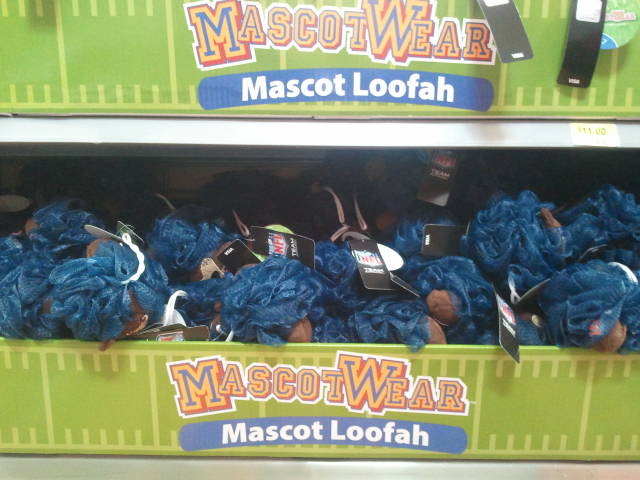 We also found a big display of Bears MascotWear loofahs. I thought they were so cute so we had to grab a couple. Once we found a cute warm Bears outfit and got a few other things we headed to the checkout. Isn’t that outfit adorable?! I love the hood on it because it’s a Bear. Once home I had Jacob put it on to see how it fit. This is a one piece fleece set by MascotWear. 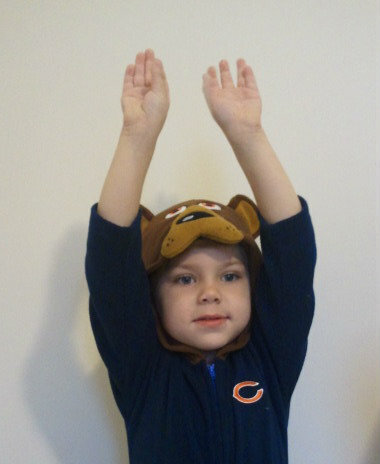 To get ready for the game I had Jacob practice cheering for the Bears. He has “Go Bears! Go!” down and we also were yelling “touchdown!” which is something we hope to say a lot of this season! 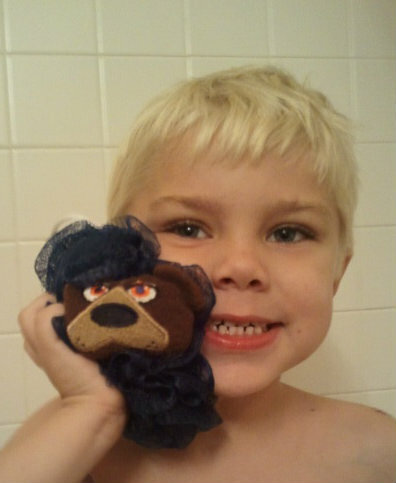 After all that cheering he as ready for bathtime so we grabbed the Bears loofah and headed to the tub. Now we are all set for game days! We have a nice warm outfit to wear and fun loofahs to play with in the bathtub after we’ve watched the games and enjoyed the messy pizza we like to eat. How do you prepare for game day in your house? 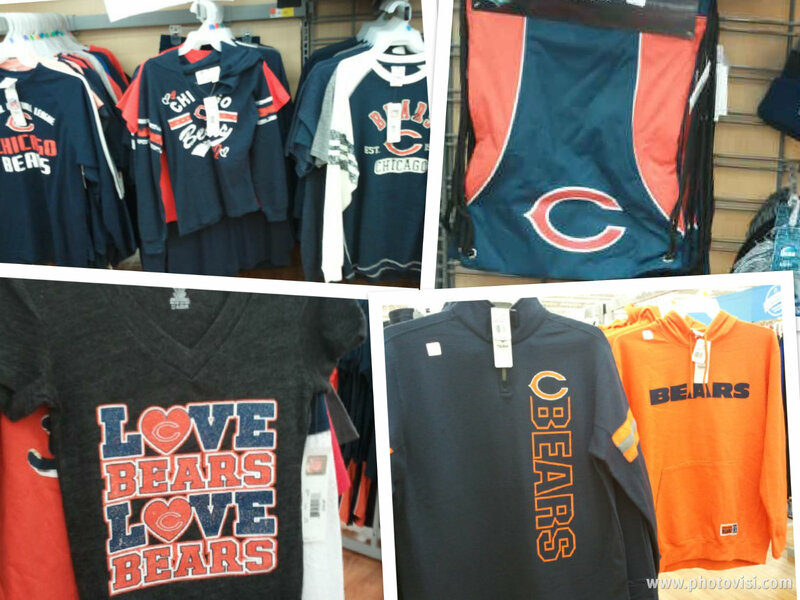 You can see more pictures from our shopping trip and team spirit practice in my Google+ album.